For the vast majority of homeowners, the space in their home that presents the greatest mystery, so to speak, is the attic; while there is a general awareness that an area exists between the ceiling of the upper floor and the underside of the roof, it is quite possible that many homeowners have never actually opened the access panel to their attic, and a high percentage could even be fearful of what they will find in there if they dared to look. Most people would likely describe their attic as a dark, musty place comprised of rafters, insulation, and perhaps some electrical wiring as well. And although this is accurate to a large degree, it also downplays the role of that attic relative to two key components of a home maintenance budget that are tied directly to the insulation – energy efficiency and the prevention of unnecessary roof repair costs. Attic insulation plays a key role in reducing what is known as heat transfer, which can be described as the tendency for air naturally to move from warm areas to cold areas. Attic insulation acts as a barrier to heat transfer, preventing warm air from escaping the home through its roof during the cold winter season and stopping hot air from entering during the warmer months; this lets the homeowners set their thermostats at more reasonable temperatures year-round and thus better manage their overall utility charges. Conversely, when the attic insulation is inadequate or insufficient, it can lead to excessive utility bills and unwanted roof repair costs. 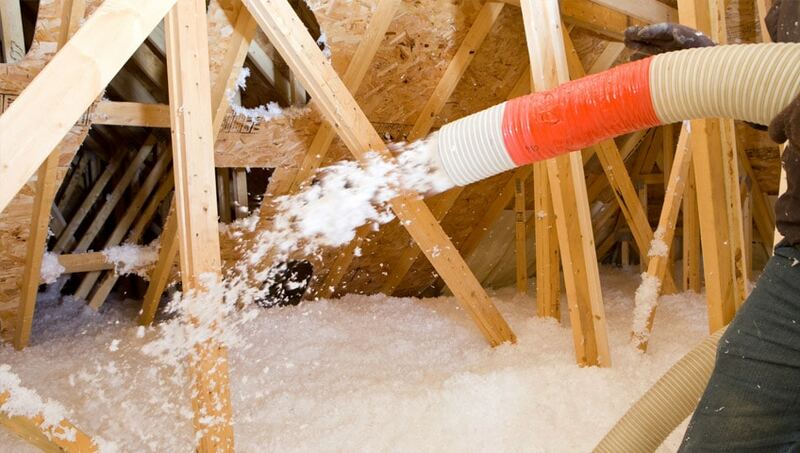 To prevent these undesirable circumstances, homeowners should be vigilant about the condition of their insulation; this means having an awareness of the visual signs that their attic insulation might require an upgrade (and in some cases, they will have to open the access panel to their attic for the first time). If it becomes evident that the attic insulation needs to be upgraded or perhaps replaced, the question then becomes: what is the proper amount for the local climate conditions in Toronto? The answer, in general terms, would be insulation that has an R-value (i.e. its degree of resistance to heat transfer) in the range of R-50 to R-60, based on the style of roof, the roofing materials, and the age of the home; this can be determined more specifically by consulting a roofing contractor with extensive experience in attic insulation installation and upgrades, such as Integrity Roofers in Toronto. For such attic insulation upgrades, Ontario residents who live in a detached home, semi-detached home, or townhome can receive a rebate of $1.00 per square foot against the purchase and installation of insulation, up to a maximum of $1,500.00; it also stipulates that the work must be performed by contractors who have been screened and qualified under the Green Ontario Fund program. To learn more about this attic insulation rebate program and about the roofing services offered by the professionals at Integrity Roofers in Toronto. Are you concerned about the size of your utility bills and the fact that your heating and cooling systems seem to be constantly running/working to keep your home comfortable throughout the year? 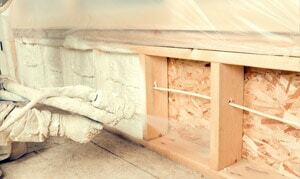 It may that your attic insulation is underperforming and needs an upgrade. Call the roofing specialists from Integrity Roofers today at 647-953-9365 or contact us to book a roof and attic inspection as soon as possible.